TRACKER, the stolen vehicle recovery specialists, located 103 stolen vehicles recovered in January. TRACKER's latest theft bulletin shows that it helped police recover £1,852,399 worth of stolen vehicles,closing the net on criminals. 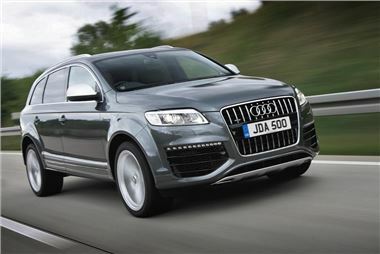 The most valuable vehicle recovered was an Audi Q7 worth, £60,000, which was stolen in Hertfordshire. Another Audi, which was stolen from the Stockport area, wasrecovered in less than an hour, demonstrating the vital level of protection offeredby TRACKER's state-of-the-art tracking units, which help recover vehicles swiftly - usually within 24 hours. By far the most common vehicle make recovered was BMW, with 51 in total throughout January. "Once again, TRACKER's success speaks for itself, with police making 15 arrests, asa result of our devices leading officers to the location of stolen vehicles," says Stephen Doran, managing director of TRACKER. "In the process of tracking the stolen vehicles fitted with TRACKER units, 14 other stolen vehicles were discovered - highlighting the role TRACKER plays in fighting crime. We continue to play a keyrole in helping police bring criminals to justice, illustrating the power of ourrelationship with police forces across the UK. Without TRACKER devices installed,many of these vehicles would have been lost for good, highlighting their importancein the fight against car theft." Operated by all 52 police forces, TRACKER can inform the police of the initiallocation of the stolen vehicle who can then employ the precision of the VHF technology to track a stolen vehicle to its exact location. Crucially, TRACKER will be alerted to an attempt to jam any of its system's communication channels. In addition, TRACKER's stolen vehicle recovery units are approved by Thatcham TQA, averification programme of the quality, design and performance of automotive aftermarket devices. Prices of Tracker VHF/GPS systems are £462 fitted with a subscription charge of £399 for 3 years.